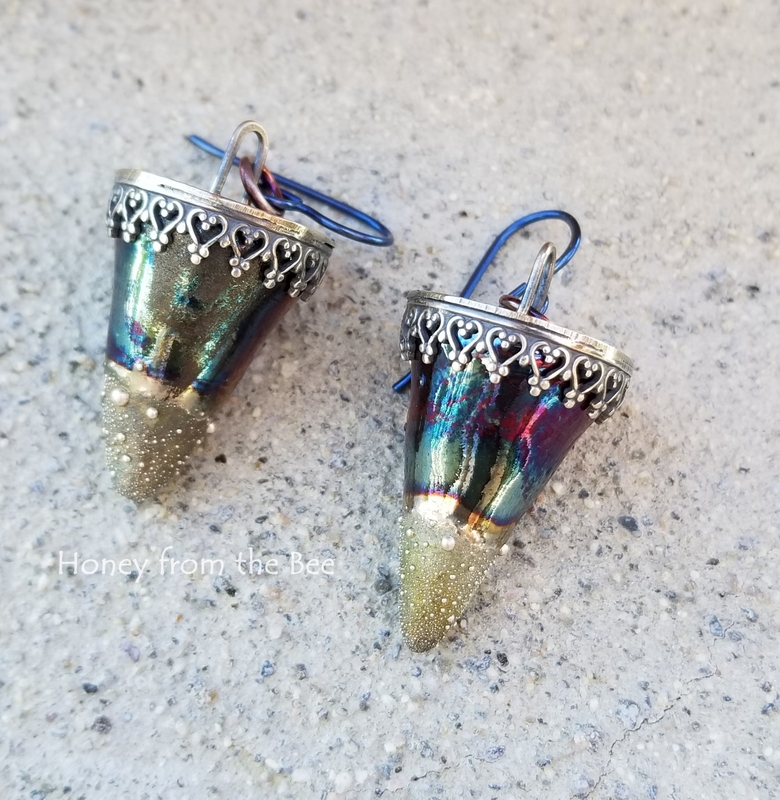 Remember the Fire and Ice earrings? 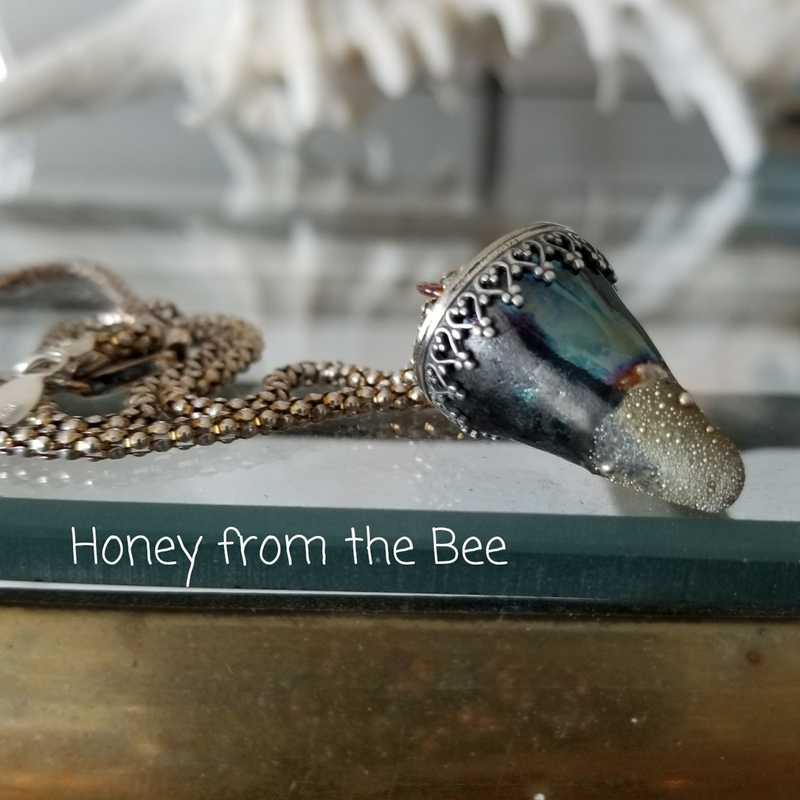 I thought it would make a beautiful pendant, too! Ceramic piece has a raku and silver (fine) finish and is by Maku Studios. I've set it in sterling silver with a heart bezel. 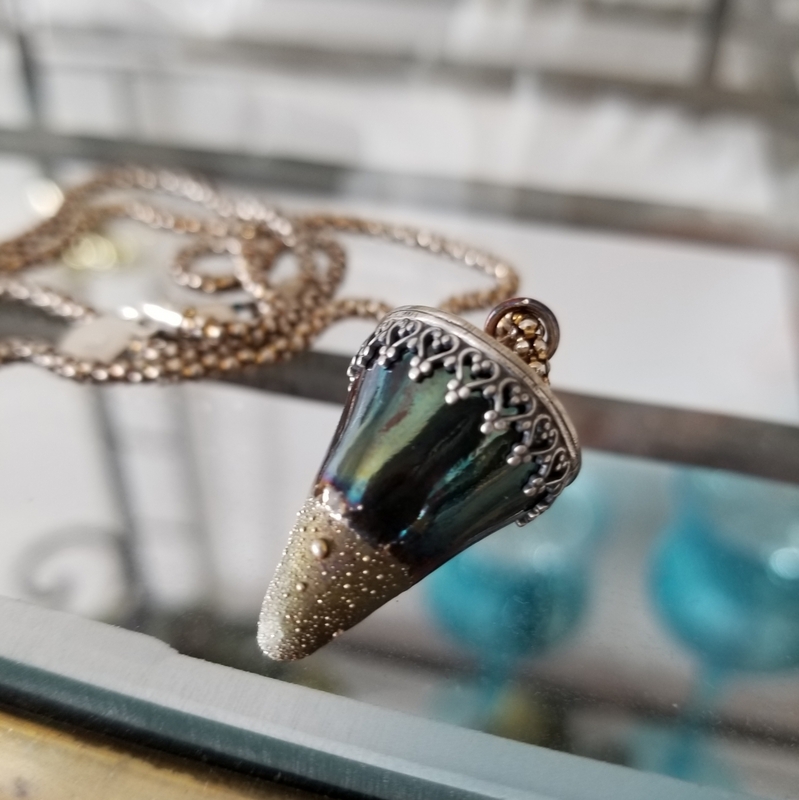 The pendant is just under 1.25 inches in length from the top of the bail to the tip of the ceramic cone. 20" sterling silver chain with patina. Lobster clasp. When you need a little magic in your day.